Freshly harvested garden vegetables in a bucket. In order to be classified as organic, fruits and vegetables must be grown without the use of chemical pesticides or fertilizers. Organic production seeks to minimize pollution and balance the environment. The United States Department of Agriculture reported in 2010 that the demand for organic products has increased every year since 1998. The University of Colorado reports organic produce generally costs between 10 and 40 percent more than conventionally grown produce. Some people may buy organic produce because they think it's more nutritious, but this is not necessarily true. 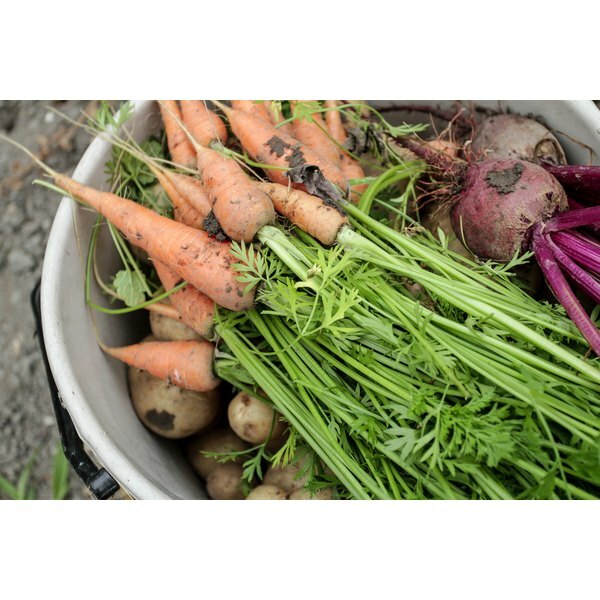 According to the University of Colorado, nutrition in vegetables and fruits depends on the soil where the food is grown, climate conditions, and how the food is handled and shipped. Organic fruits and vegetables contain no more vitamins and minerals than conventionally grown produce. A review of 12 studies comparing the nutritional benefits of organic versus non-organic foods, reported in 2010 in the American Journal of Clinical Nutrition supported the findings that organic and non-organic foods don't differ significantly on the nutrition they contain. Fruits and vegetables consumed as close to when they're harvested as possible contain the most nutrients, whether they are organic or conventionally grown. The longer produce sits, even in refrigerated trucks in transport, the more nutrients it loses. Given a choice between organic produce grown across the country and produce from a local farmer purchased the day after the vegetables were picked, the local produce wins based on nutrition alone. 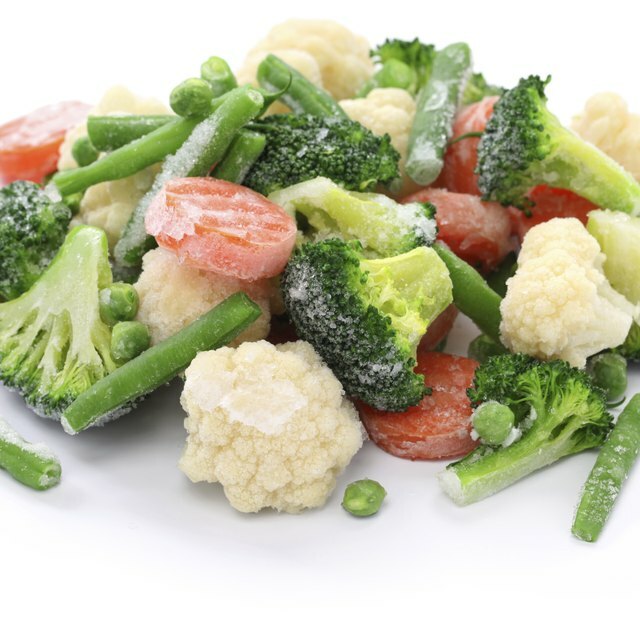 Because vegetables and fruits lose nutrients as they age after harvest, frozen vegetables may contain more nutrients than fresh produce, whether organic or conventionally grown. A study reported in 2007 in the Journal of Science and Food Agriculture, found that frozen vegetables often retained higher levels of vitamin C and B vitamins than their fresh counterparts that sat for even a few days. If organic produce offers no nutritional benefit over conventionally grown fruits and vegetables, consumers look for other benefits from buying organic. Some people think organic fruits and vegetables taste better. Some are worried about exposure to chemicals and pesticides from eating non-organic produce. Still others want to support organic farming as better for the environment.